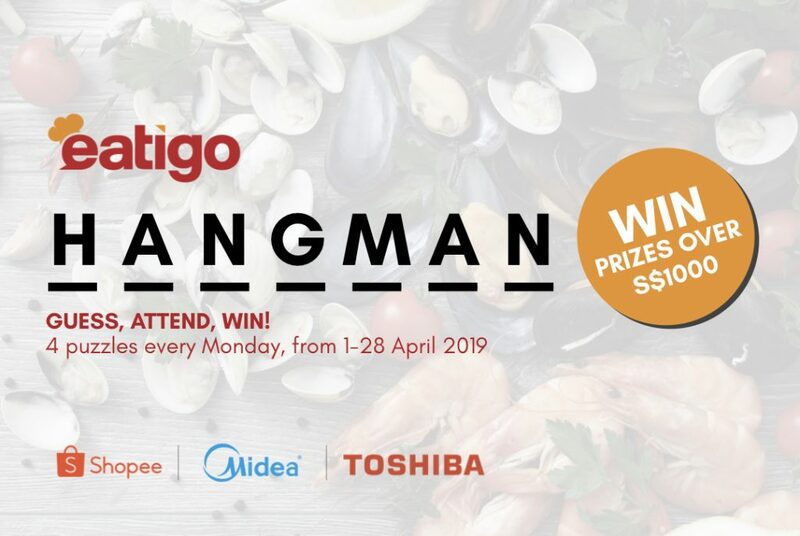 Earn FOUR TIMES the Eatigo Cash Voucher amount this February! 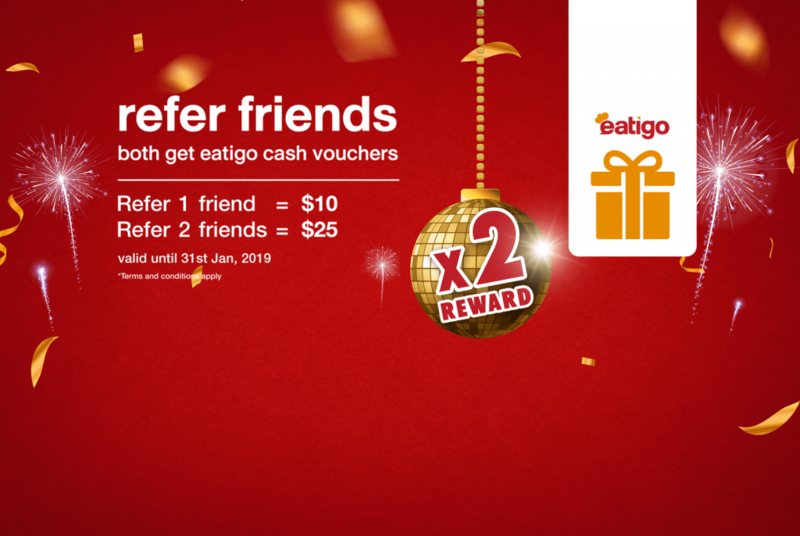 From NOW till the end of February, earn FOUR TIMES the Eatigo Cash Voucher amount for every successful referral made. 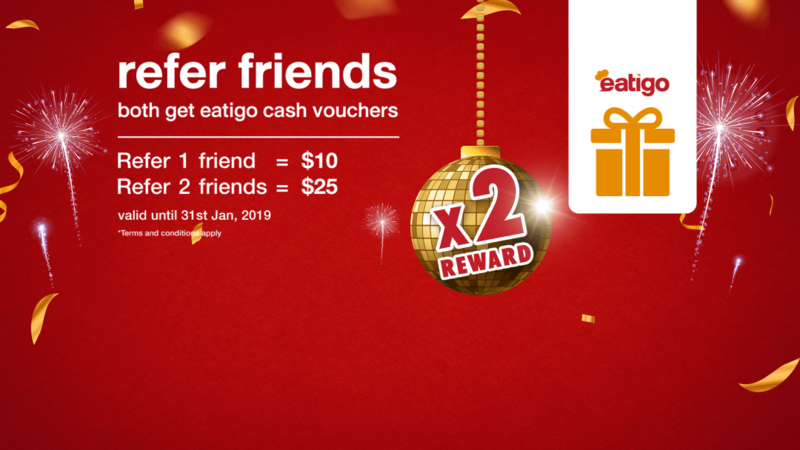 It will be awarded to both you and your friend upon their first attended reservation with Eatigo in February – share the good news and rewards with your love ones right away! 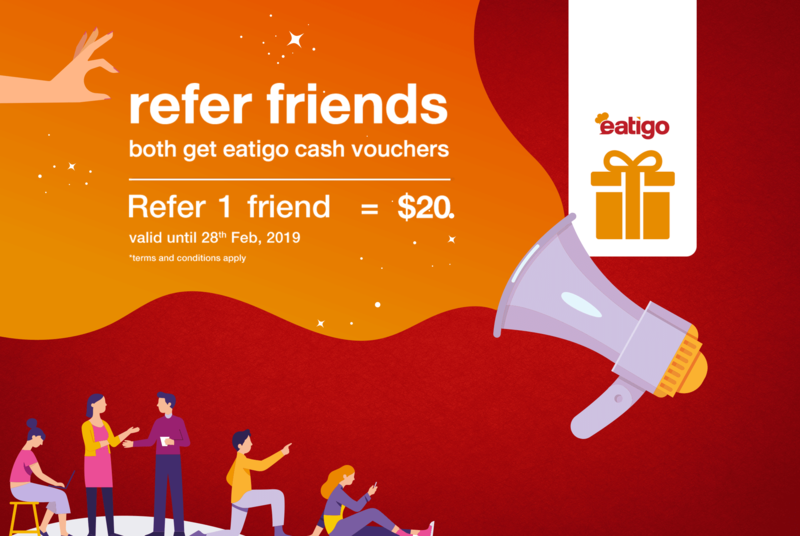 Refer more friends = more points = more $20 Eatigo Cash Vouchers earned! New referee’s 1st reservation must be attended within the month of February. 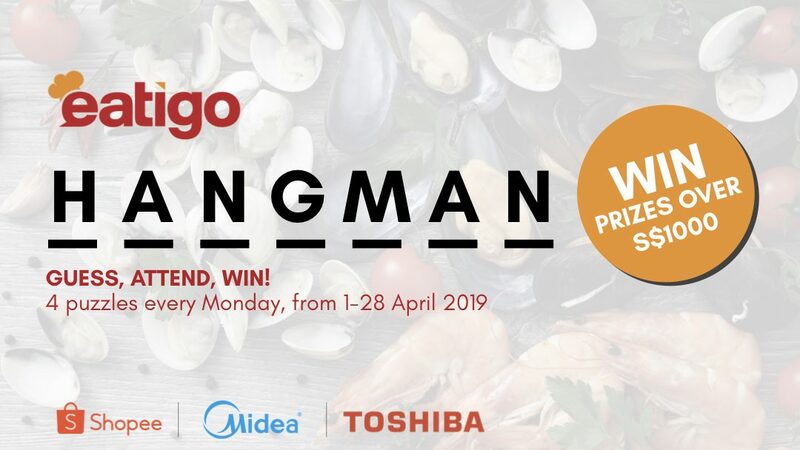 This offer is only valid for voucher redemption made on/before 28th February 2019. 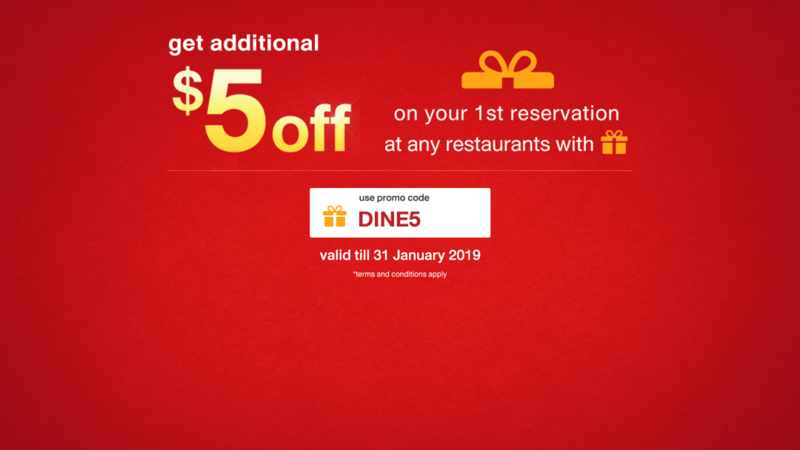 Voucher value may change after the campaign ends. Attend your 1st reservation on Eatigo and receive a $5 eatigo cash voucher this January!